This set of 2 hair comb and pin is specially designed and made for Chinese brides for their traditional wedding ceremony. 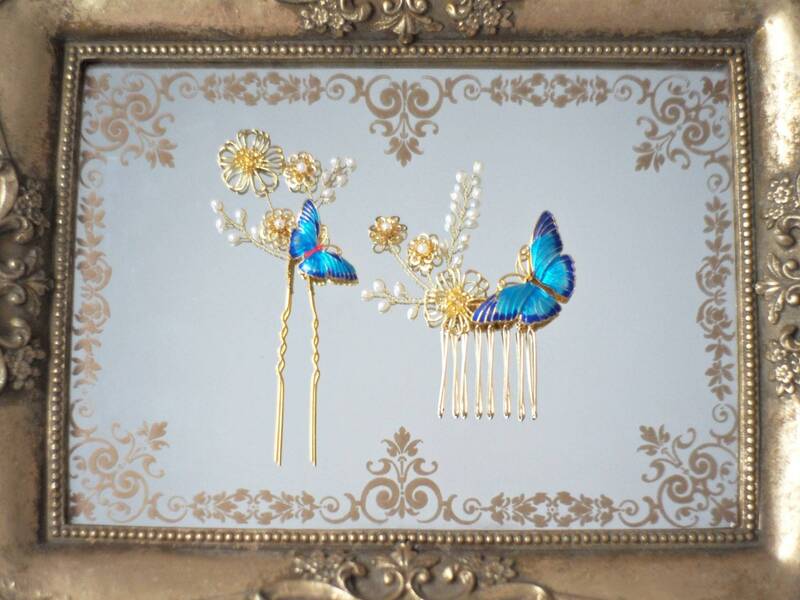 The set is handmade with fresh water pearls, golden brass flower charms and blue enamel butterfly charms. Design and handmade by Harry Vintage bridal and chic.